Do you like children, hope to improve your English and want an extraordinary experience? Become a male or female au pair in New Zealand. Possibility of being an au pair on a farm if you like amimals and nature! PLEASE NOTE: This programme is open to male au pair applicants. Apply for free: we help you to put together your dossier and throughout the entire application process. PLEASE NOTE: the payment is made once you have been introduced to a host family. Why be an au pair with AFJ ? Discover a new country and learn English whilst recceiving an allowance. We help you for free to put together your dossier. We will not ask for any payments during the application stage. AFJ is a founding member of the UFAAP and the IAPA and is thus committed to respecting the quality policies of these organisations. Benefit from 3 orientation days which are included in the programme fee- training, help to open a bank account and to get a SIM card, as well as visits and trips to discover the country. 1. Sign-up on our website to receive an application form. Click here to sign up. 3. 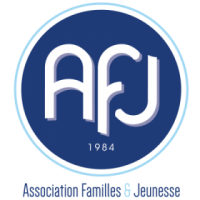 AFJ sends your file to our carefully selected agency abroad. 4. Look through the families’s profiles and get in touch with the family most suited to your profile to organise a Skype interview. 5. If your chosen family is equally interested in working with you, sign your au pair placement contract. 8. Make the most of your adventure abroad.